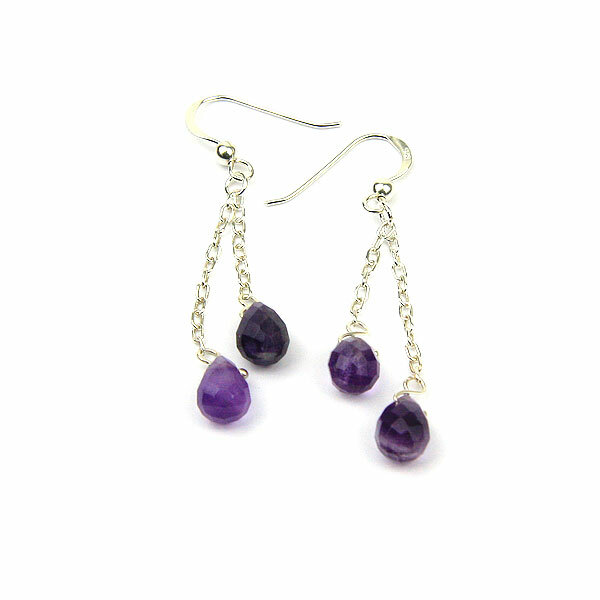 Delicate Amethyst & Silver Chain hook earrings in the form of two a fine silver chains decorated with little pear shaped Amethysts. We would be very grateful if you would kindly make a comment on this item on our review section, through the link on this page. It is very helpful to us - Thank you.